Order in the next 11 hours 17 minutes and your package will ship on Monday, April 22. 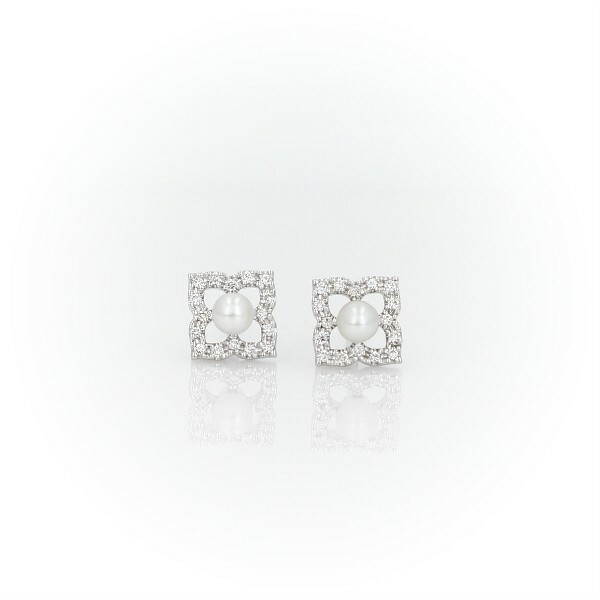 Delicate in design, these petite pearl floral stud earrings flaunt vintage-inspired details with an innate feminine flair. A beautiful round freshwater pearl is surrounded by a sparkling micropavé diamond frame, all crafted in glowing 14k white gold.